Whether you are an experimental tween taking your first tentative style savvy step or a full-blown Carrie Bradshaw print-clashing professional, New York City is a mecca for all fashionistas. Fresh from their recent trip, the YOU fashion team shares their top recommendations for the Big Apple to ensure you make the most of your trip. No matter how long your stay in New York, the ‘city that never sleeps’, it will never be enough. So you need to be ready to hit the ground running, we recommend you try to catch as many mile high zzz’s as you can. 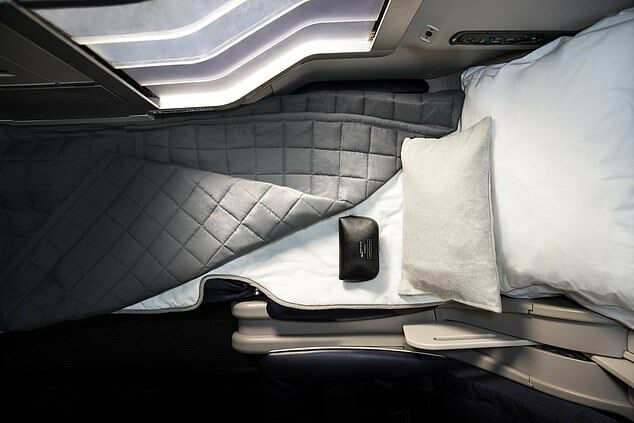 To make your slumber so much easier, British Airways have thoughtfully paired with YOU mag favourite, The White Company, as part of their Club World experience on all flights between Heathrow and JFK. Sink into your sumptuous bedding which includes a super soft blanket with satin trim (fashion points tick) and rummage through The White Company amenity kit wash bag that you will find waiting for you. The specially selected products from the brands cult Restore and Relax Spa collection will ensure you land looking catwalk ready. Those sidewalks won’t know what’s hit them. Flights to New York start from £256 return. Visit ba.com to book. It goes without saying all fashionistas gravitate to Soho. The lower Manhattan location was in recent history a hubbub of artist’s lofts and gallery spaces and consequently the spiritual home of many of our fashion ancestors. But as the city never sleeps, changes happen quickly, and due to its rising popularity and the consequential rental costs, Soho is now perhaps better known for its luxury shopping stores (tick) and new restaurant openings (double tick). The cool kids may not be able to afford to live here anymore, but they still return in their droves to enjoy the creative meeting place of cutting-edge style and luxury. 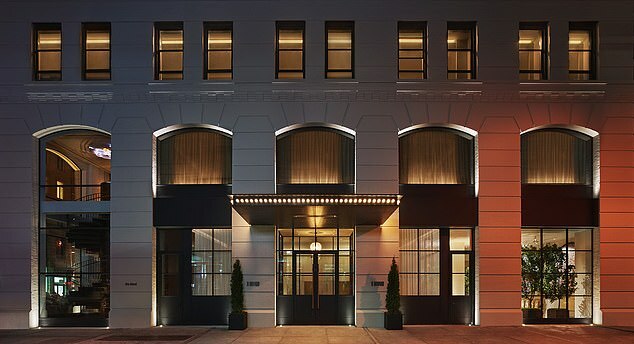 When it comes to where to stay, we always head directly to 11 Howard, perfectly poised on the corner of the trend setting Lafayette Street. 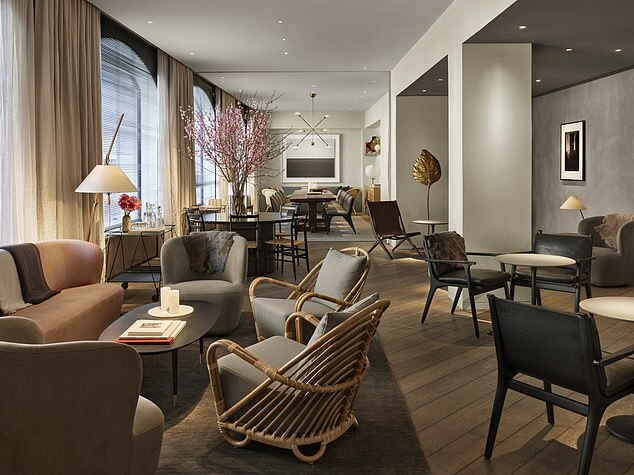 Its design artfully nods to New York’s heritage in all things raw and industrial whilst adding timeless luxury finishes and warmth through its carefully curated interiors. The Broadway-inspired marquee lights announce your arrival, where you are met warmly by the concierge team. Should you not be feeling so friendly, you can do all your checking in and out, luggage and room service requests by their technology platform on your mobile or convenient in-room tablets. You will be busy continually updating your Instagram anyway so it makes sense. The Library offers the perfect socialising space on the second floor, be it for breakfast or post-dinner cocktails. The sun-drenched space offers a plethora of uniquely designed pieces from the likes of SPACE Copenhagen, Rick Owens and a roll call of who’s who in the interiors world. Sadly the pieces are all too large to fit in your suitcase and take with you, but they are a fantastic source of inspiration none the less. It’s unsurprising to learn the mastermind behind the hotels aesthetic is one of our own, fashion designer Serkan Sarier, best known for her pared-back luxury with polished urban highlights. Each of the 221 guest rooms boast 11-foot-high ceilings and oversized windows for abundant natural light and all the cityscape views you could hope for. 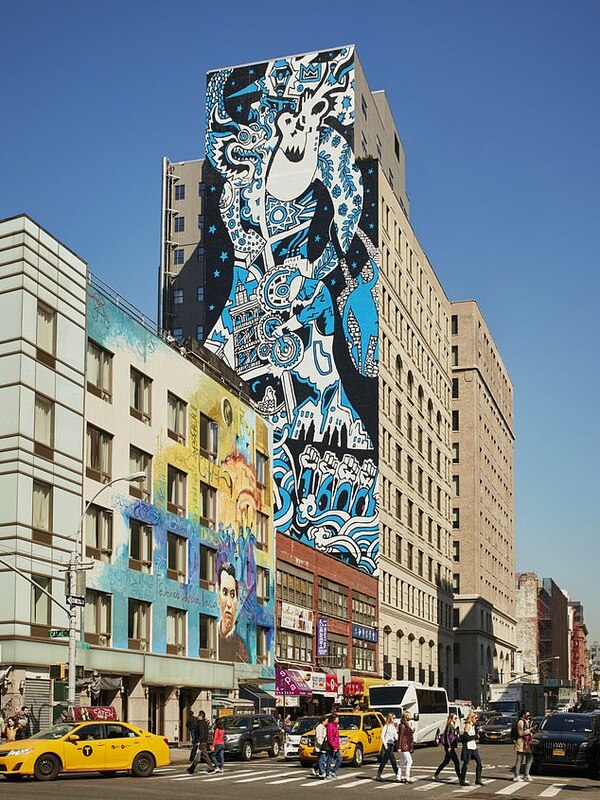 Adding to its all-star role call renowned contemporary artist Jeff Koons mentored a home-grown youth group to create the locally inspired mural on the buildings South-facing wall. Designed to showcase the history and culture of Soho and encourage you to stroll through its winding side streets, it makes quite the welcome statement to an already vibrant area. Sightseeing is never passé and whether it’s your first or your hundredth trip, I can assure you that you will never stop getting chills when you set eyes on the iconic Statue of Liberty. By far the best (and cheapest) way to do it is to buy a CityPASS, they have vetted the top must-see attractions, allowing you VIP queue jump entrance, whilst saving you a whopping 42% on regular admission. You can use the money and time you save indulging in some stateside shopping, but more on that later. Some of the sites included in CityPASS are The Empire State Building, American Museum of Natural History, Top of the Rock, 9/11 Memorial and Statue of Liberty. Valid for 9 days, it means you can take the sights at your own speed. Back on the fashion trail, also included is the Metropolitan Museum of Modern Art, another must visit, and home to some incredible fashion-led exhibits and the venue of the MET Ball every year. Any true fashion crowd knows that at least 60 per cent of your party will be vegan and luckily New York has some of the best vegan restaurants to choose from. The ironically named Butcher’s Daughter (thebutchersdaughter.com) has an extensive vegetarian and vegan menu in a relaxed and warm setting. If you are feeling less saintly, but of course want to stick to your vegan scruples, check out the much instagrammed by CHLOE (eatbychloe.com) in Soho for vegan-friendly junk food – just be prepared for crowds and significant wait. Junk food it may be, but fast food it ain’t. If Mexican is the flavour of the day, head to Chinatown and check out Jajaja (jajajamexicana.com) for food so good you want every day of the week to be #vegantacotuesday. Those looking for the best meat and fish tacos in town, head to Tacombi (tacombi.com). Either options are perfectly washed down with glass (or two) of mescal. After a night of perhaps too many cocktails, I would recommend taking a brisk walk over Brooklyn Bridge to blow away the cobwebs and explore the hipster mecca that is Brooklyn. I am sure everyone is familiar with the hangover-curing abilities of the humble pizza. But nothing can describe the magical qualities of the best pizza I have ever tasted at Grimaldis (grimaldispizzeria.com). Once you have worked up an appetite from wandering, follow the crowds, it’s worth the hype (and unfortunately the queue), you can thank me later. Of course we understand that exchange rates aren’t what they once were, therefore making the savings on shopping trips a little less ludicrous. But buying some of our favourite US brands on home soil still offer worthy discounts and lines that are unavailable to us in the UK. Brands on our hitlist this season include Free People, Reformation, Kate Spade, J Crew and Cat Bird for all our jewellery wants. Be sure to hit the classic department stores Bloomingdales, Macy’s and Saks Fifth Avenue for the colossal consumer experience. Your wardrobes will thank us, your bank account less so.